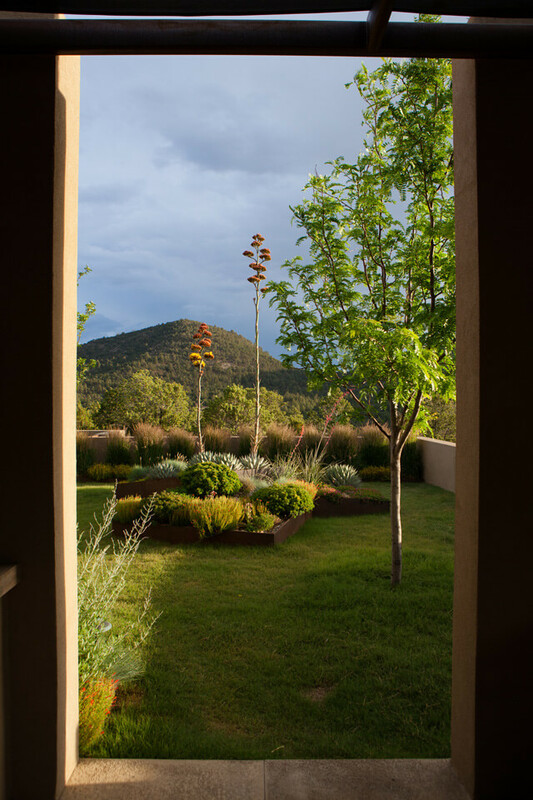 Located in the foothills of the Sangre de Cristo Mountains, the soft contemporary architecture of this home is oriented to both near and distant views of the mountains of Santa Fe. 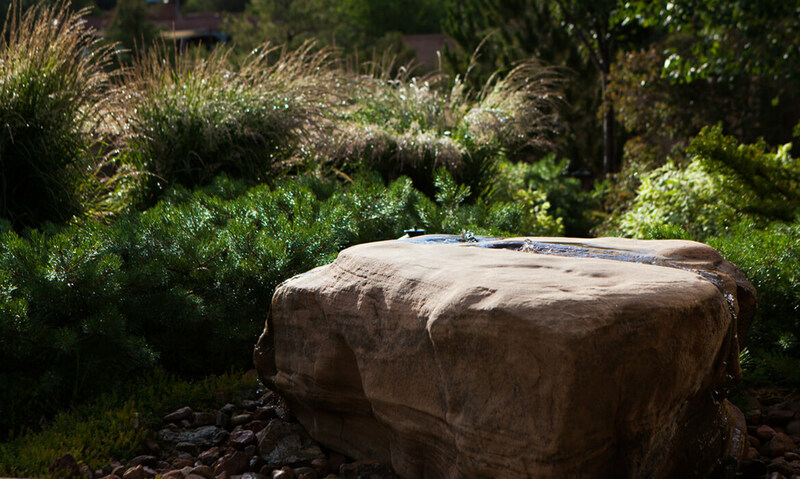 The location and architectural style are fundamental to the design program, inspiring both the hardscape and planting plan. 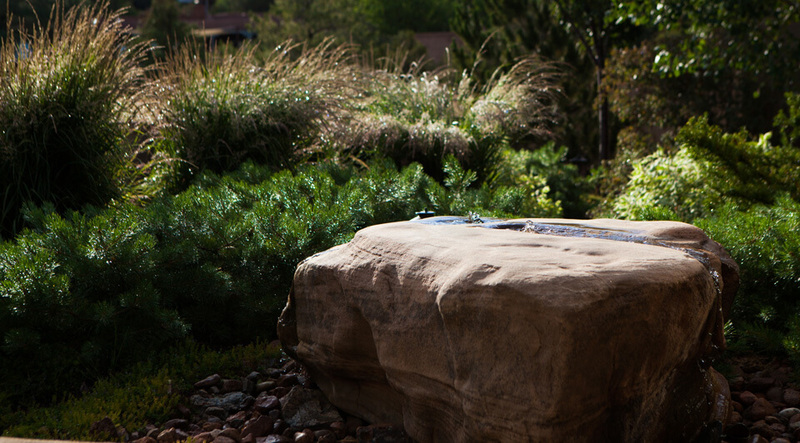 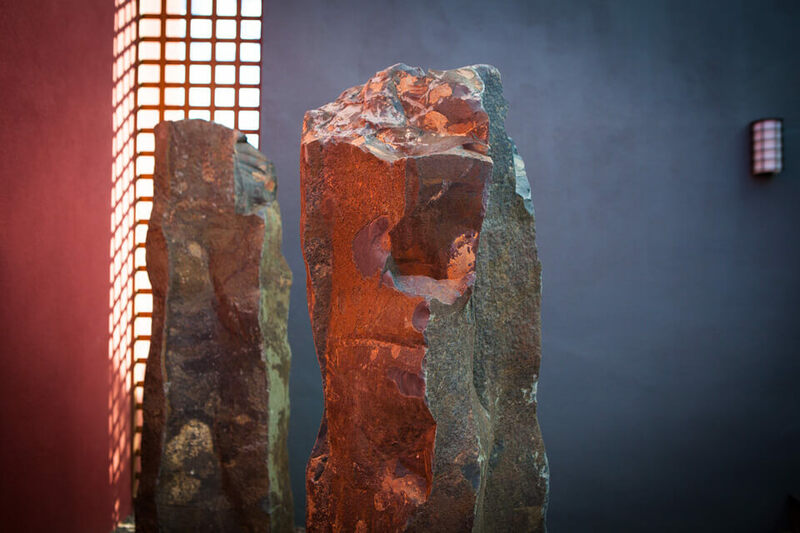 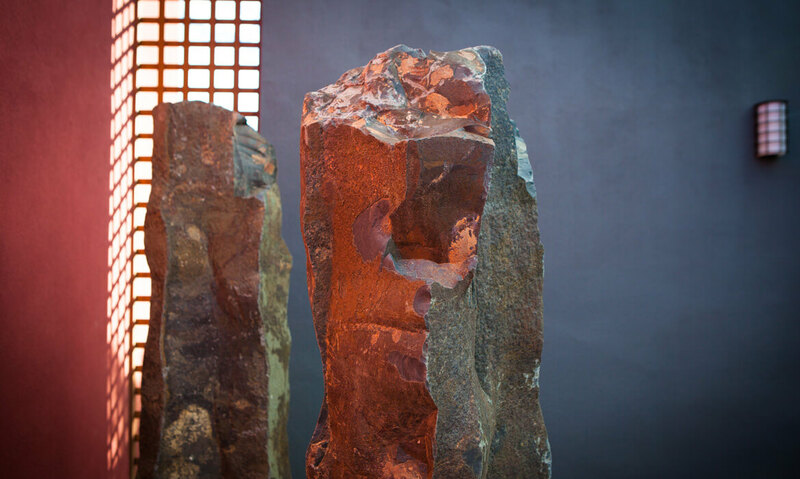 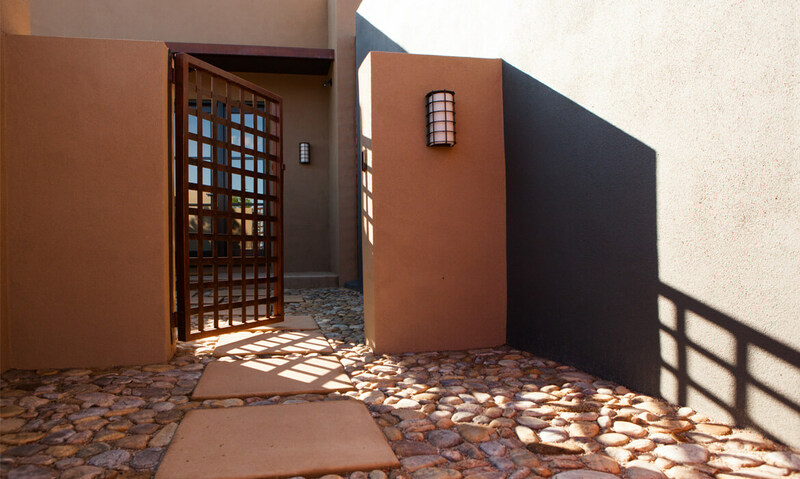 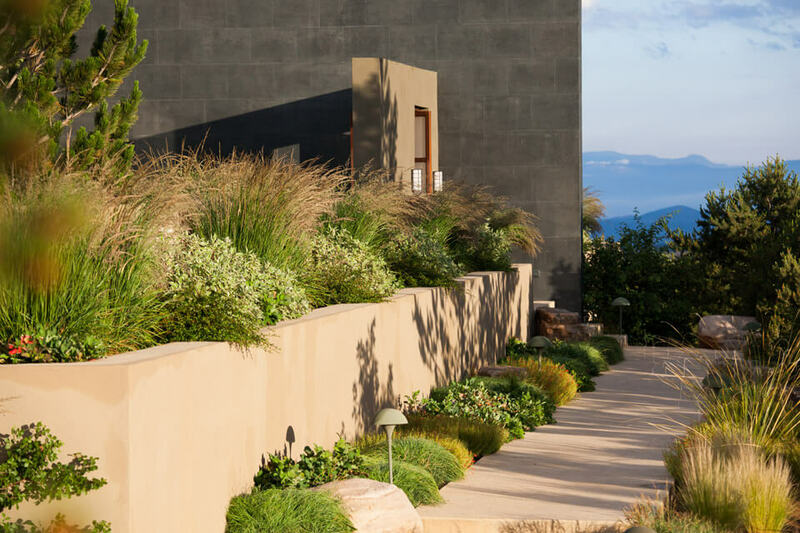 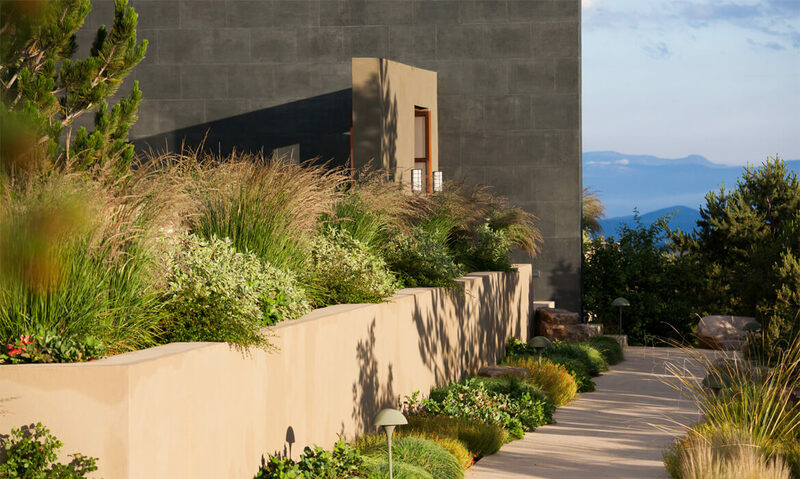 Boulders interrupt the linear cement walkway that leads to the entry courtyard; inside the courtyard water softly circulates over a natural boulder used as a fountain; large boulders are placed to retain slopes and naturalize reclaimed areas. 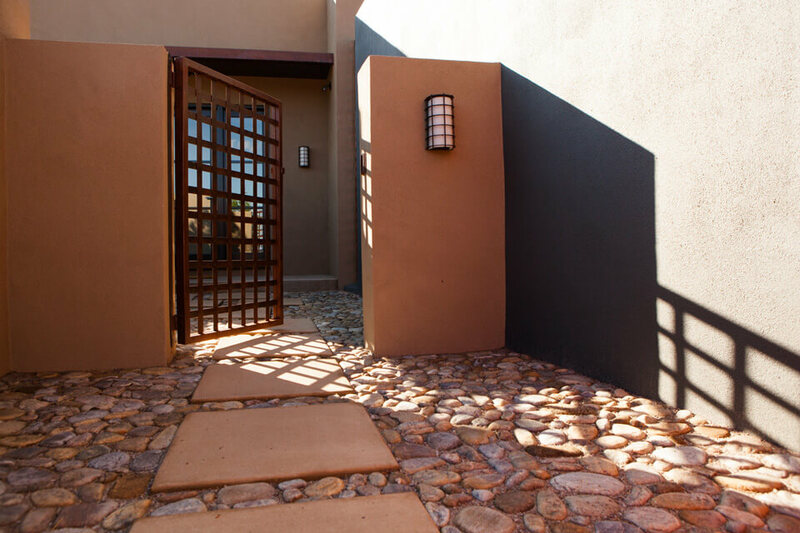 Other impressive stonework includes exotic vertically positioned basalt crystals juxtaposed to a tomato-red wall and organic pebble mosaic paving laid next to square cement landings. 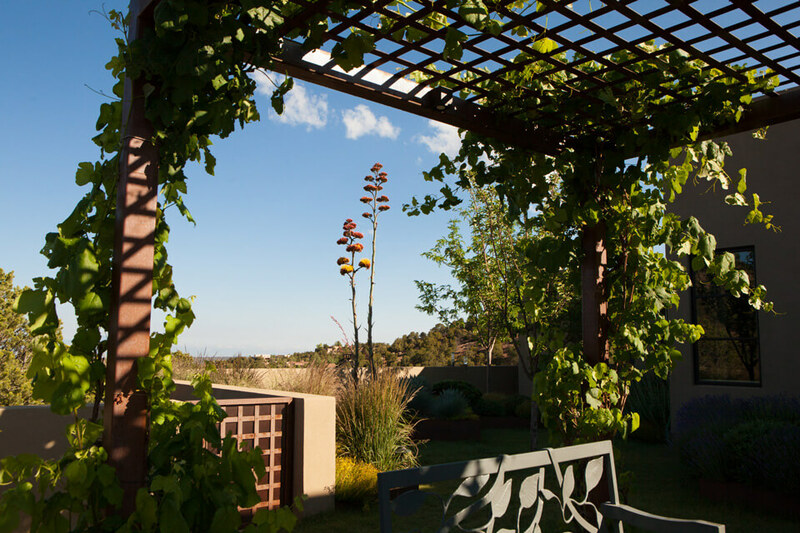 Steel mesh is used architecturally for gates and to enclose a vegetable garden; steel plate is used for custom-designed raised beds that are focal points in the walled south courtyard. 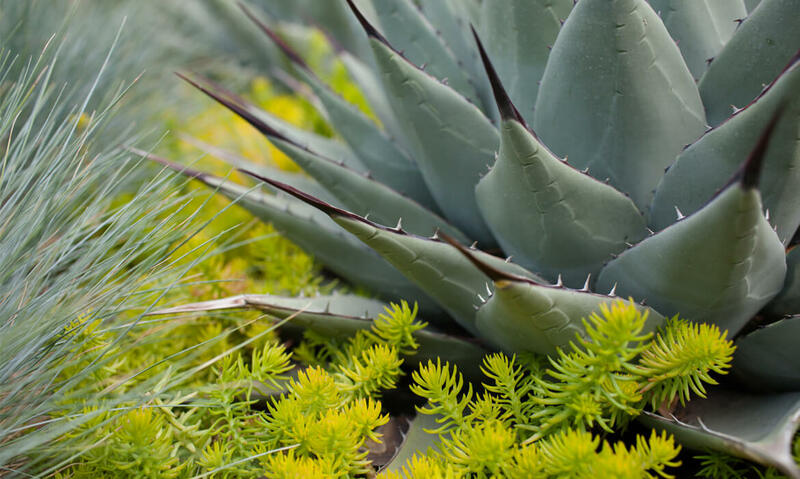 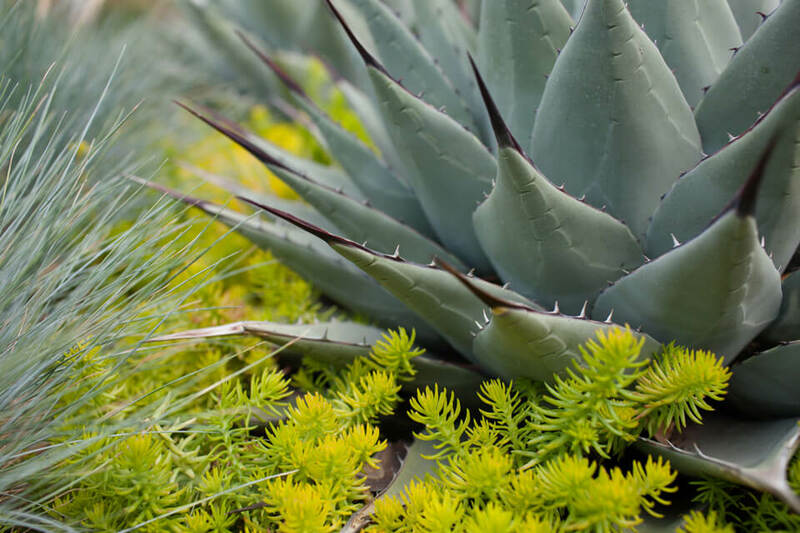 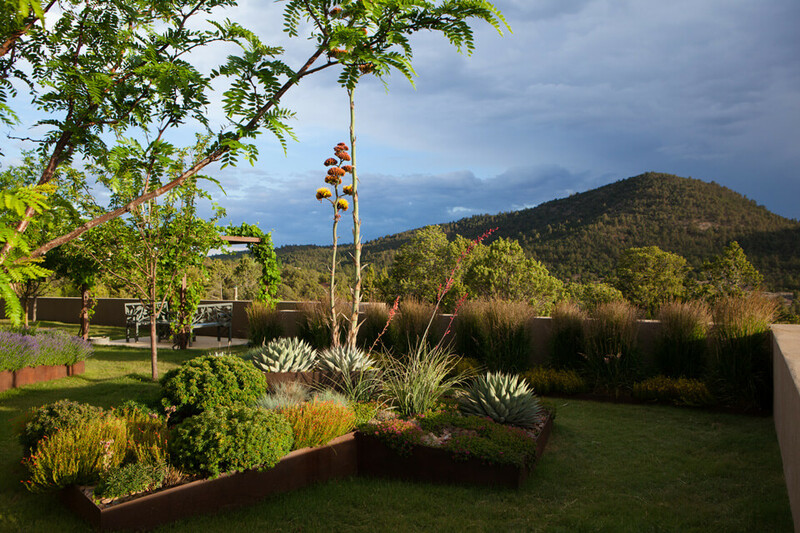 One of the beds is a cluster of three trapezoids, each at a different height, planted with agaves, sedums, cacti, penstemons and ornamental grasses. 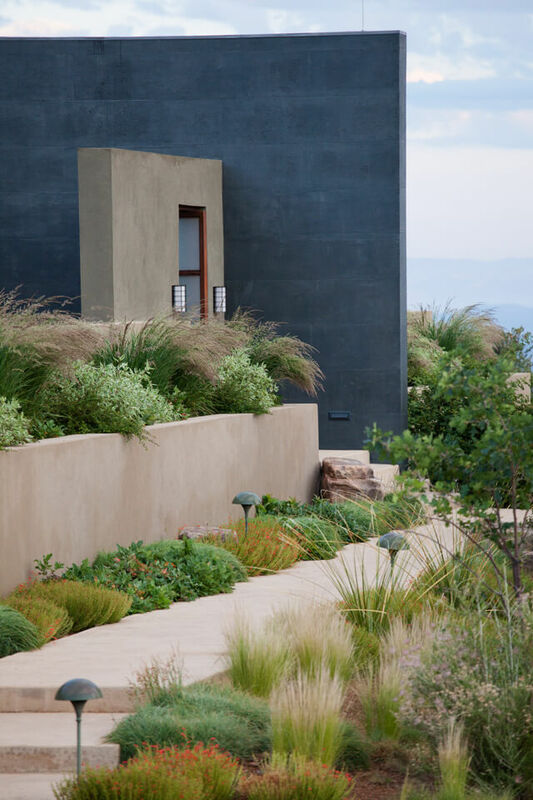 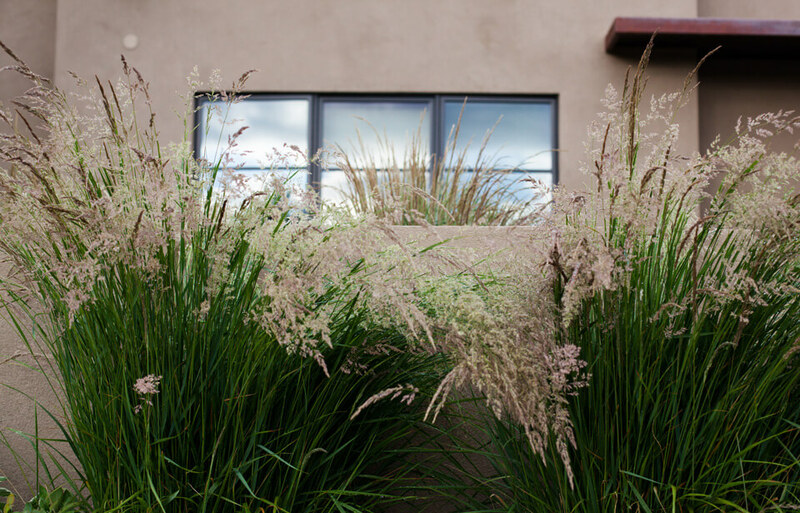 Surrounding this sculptural element is a low-water-use buffalo grass lawn. 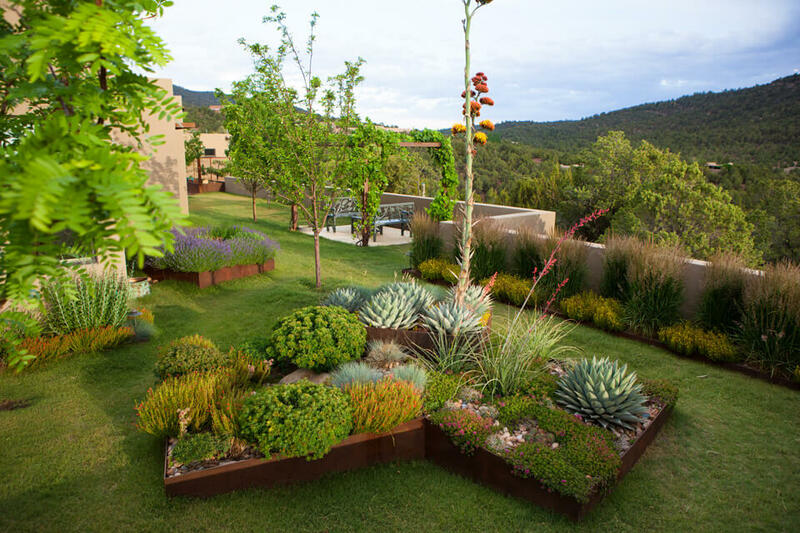 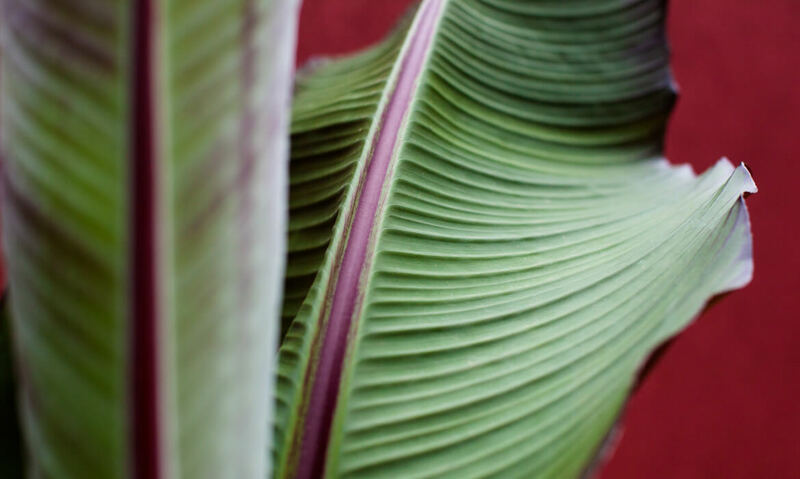 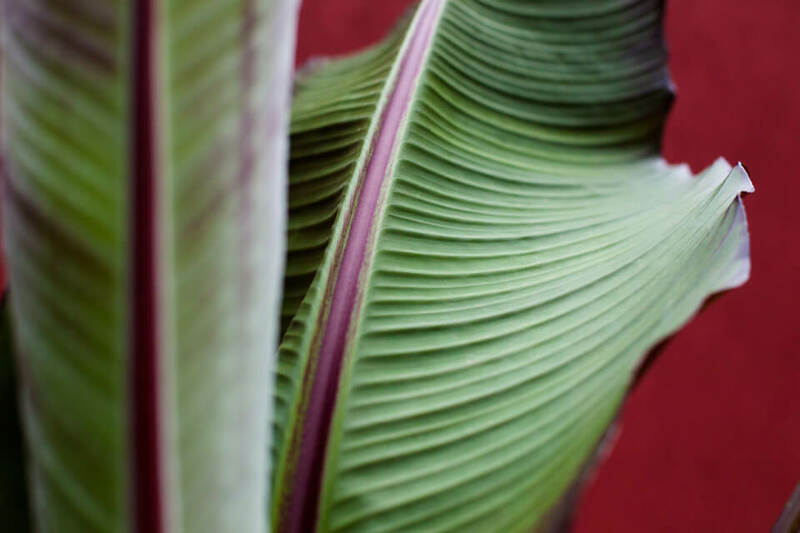 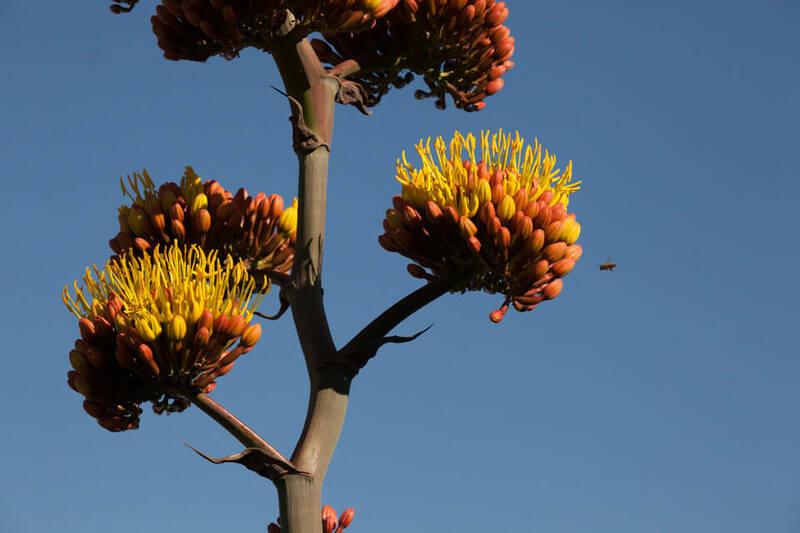 Plants are chosen for their drama and seasonal interest, and are arranged in contemporary lines, drifts, and clusters. 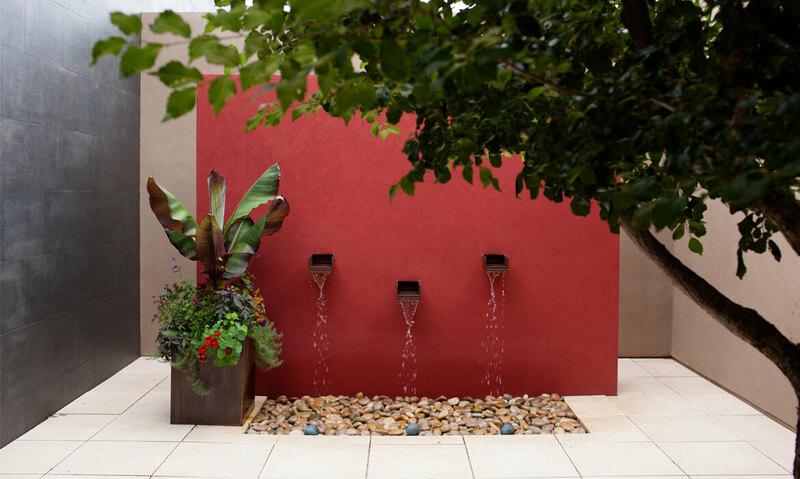 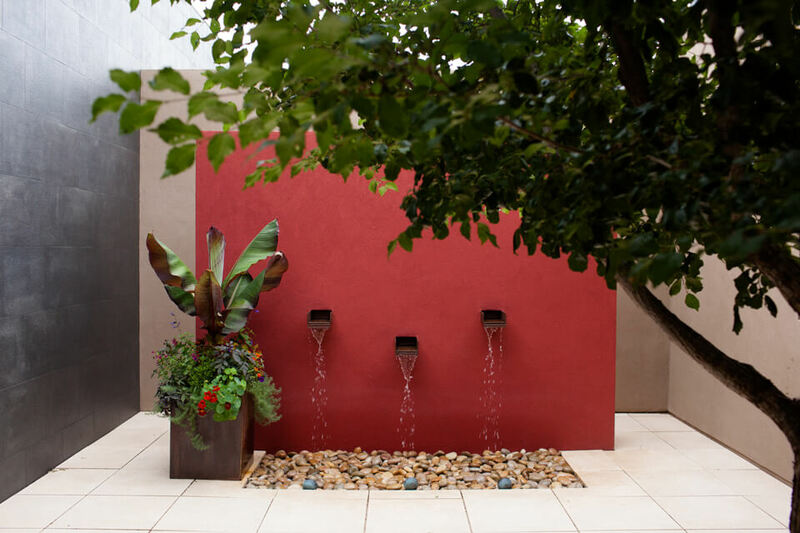 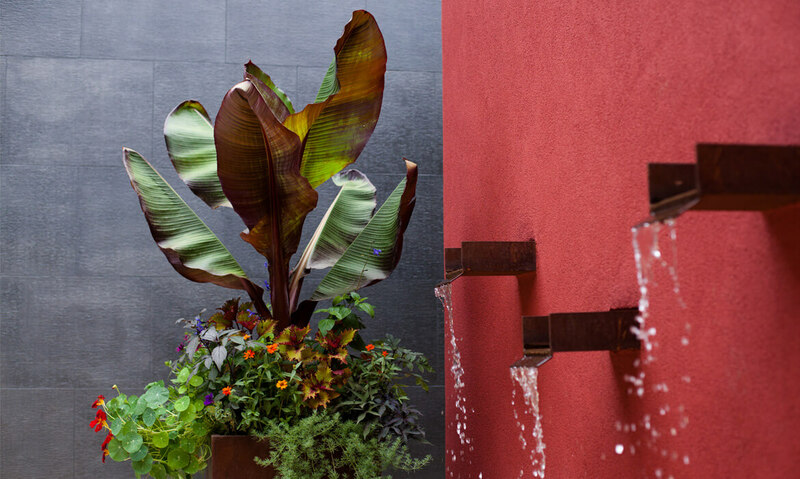 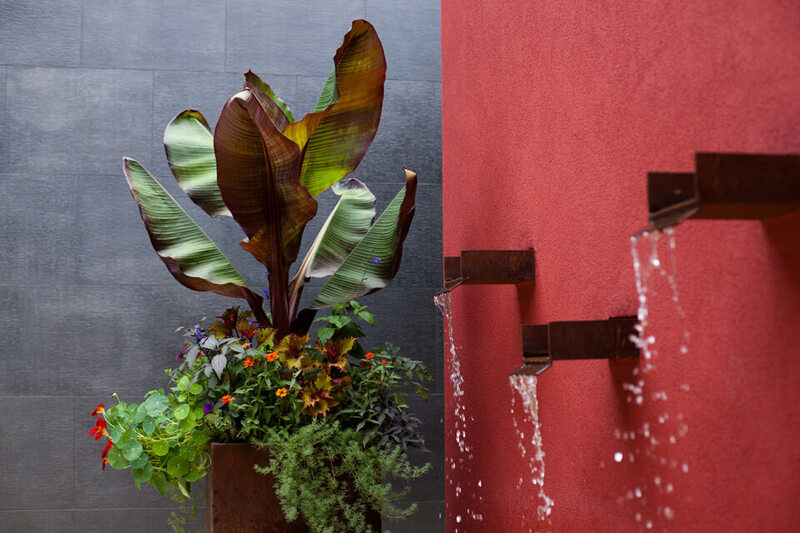 A central courtyard with a red wall fountain has a shade tree and custom fabricated steel containers. 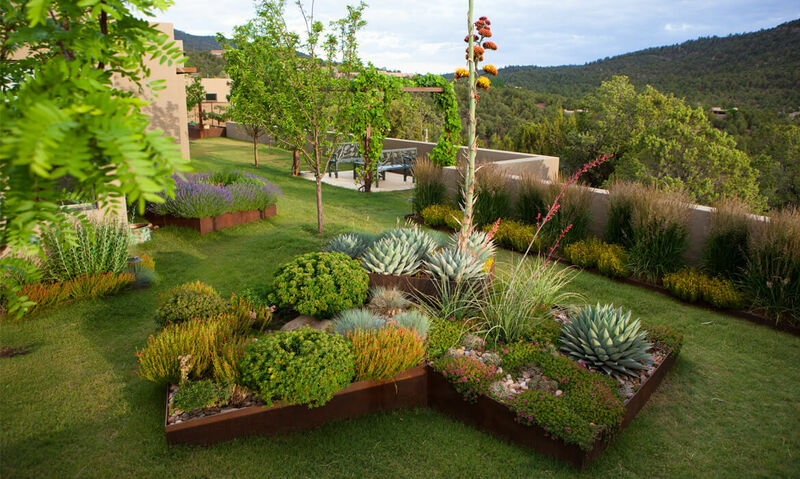 Water is harvest in cisterns, which source an automated irrigation system for the mostly native and xeric plantings.